Often the best and most beautiful things in life are not immediately obvious or understood. This is certainly true of Nicoletta Bocca and her extraordinary San Fereolo wines. They open slowly, gradually revealing their greatness. The biggest surprise of San Fereolo is Nicoletta’s Dolcetto, an elegantly robust wine with firm tannins for aging, nothing like a “normal” Dolcetto. But we’ll get to that later…. Finding Nicoletta’s farm near the village of Dogliani in the Langhe Hills of Piedmont was my first challenge. The entrance is so unobtrusive that I passed it several times before turning in and winding up the wooded drive to the traditional farmhouse that is nestled in among the trees. Especially when we went inside and gazed up at the cupola. For centuries this cappella was the center of life for the thirty families living in Borgata Valdibà. Nicoletta showed me the list of landholders hanging behind the altar. It still serves to determine which family is responsible for taking care of the church for the year: lighting candles, placing flowers and organizing the annual dinner and festival. Also hanging in the church are illustrations of disasters in which the victim was saved by divine intervention: here in a farming accident (with the church in the background). Nicoletta’s dream was to document all of this in a fashion museum, but it was impossible. “Finally, I realized that fashion people only thought in terms of the next season,” she told me. In 1989, while at Versace, however, Nicoletta put on an monumental exhibit in Milan (and published the catalogue) called L’Abito Per Pensare (Clothes to Think About), a ten year history of Gianni Versace’s designs. It tells the story not only of the designer and his clothes, but of a distinct place in time for Milan and fashion. Love for the Langhe had been imprinted on Nicoletta from birth. 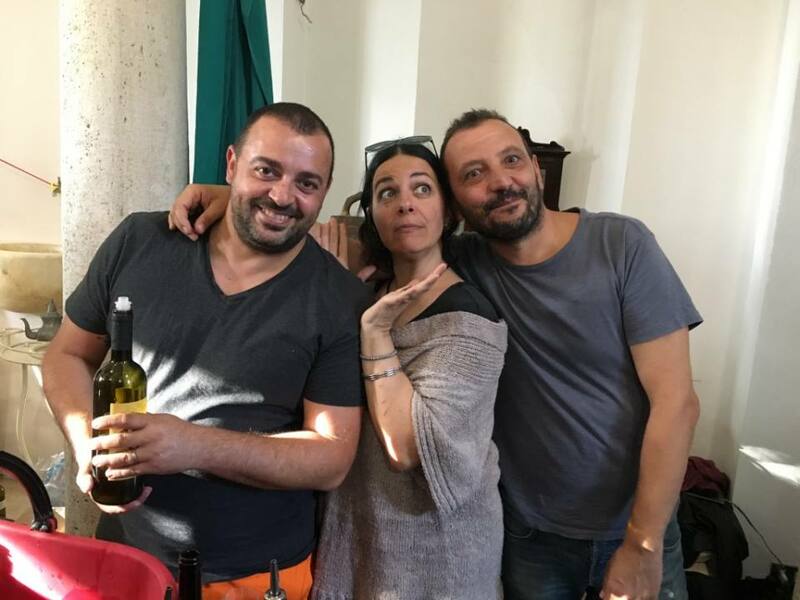 Her father, Giorgio Bocca, one of Italy’s most renown journalists until his death in 2011, brought her to the Langhe when he came to visit friends and buy wine. He was born in the town of Cuneo and fought there in the Resistance in World War II. He and Nicoletta often visited one of his best friends from the war days, Bartolo Mascarello (Barolo’s most ardent “traditionalist” during the “Barolo Wars” of the 90s). Nicoletta’s first vintage was 1992.”I had to ask the locals for advice since I was starting from scratch,” she said. “This had never been my family’s line of work.” (Her mother an English ballerina, Vivienne Stapleton Henthorne, left her father when she was one year old.) As soon as we walked into the vineyard, she began touching the vines as she talked. It is hard to imagine a time when she didn’t know this land or these vines in the intimate way that she does now. 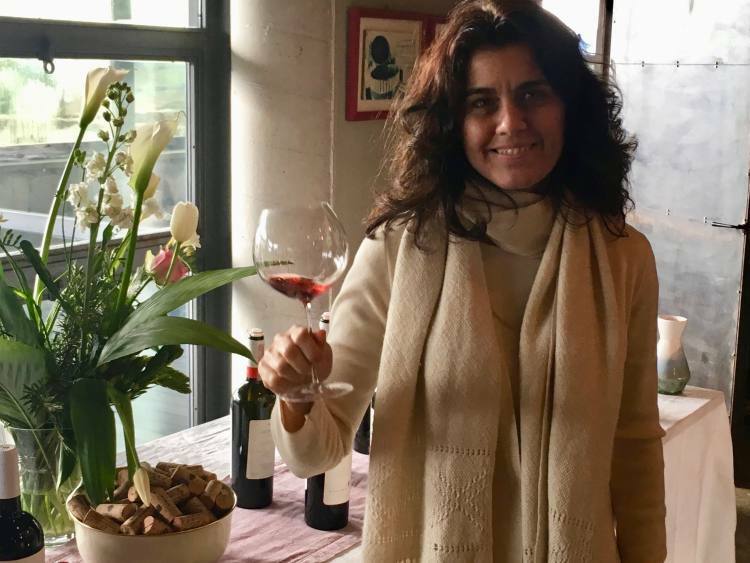 She has slowly added to the original San Fereolo vineyards accumulating 12 hectares (about 25 acres) of 40-70 year old vines by buying from farmers, who could no longer work the land. She farms all of her vines using the biodynamic principles of Rudolf Steiner. Stefano Bellotti, who was a pioneer for biodynamic viticulture in Italy, came to help her put theory into practice. 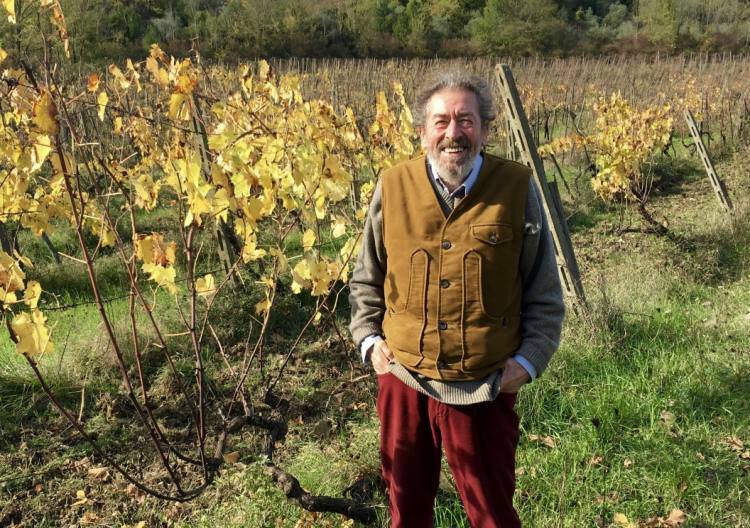 His biodynamic wines from the other side of the Piedmont (about 2 hours away) were gaining international recognition. 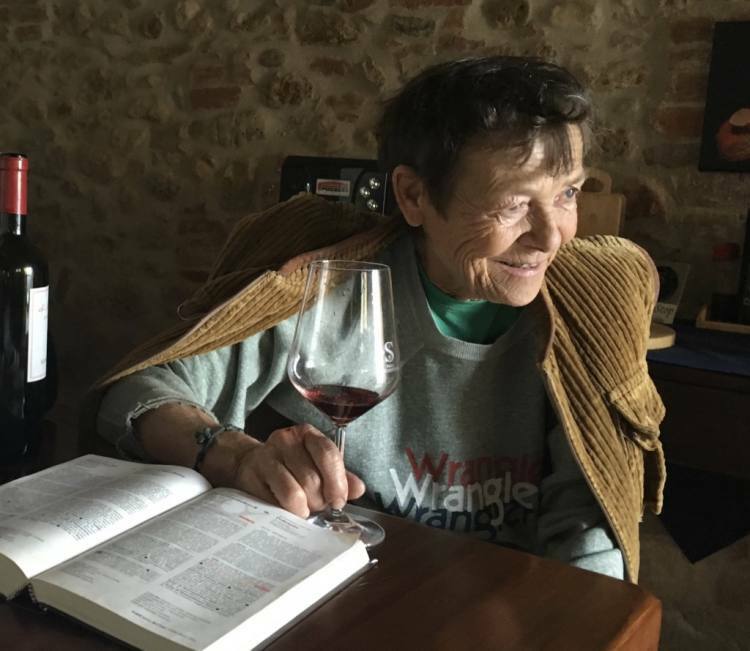 Her choices in winemaking and in life embody Steiner’s philosophy of combining science and learning with a deep spiritual respect for every living thing. Otherwise, she probably wouldn’t have dedicated years of energy and effort to experimenting with Dolcetto grapes. It is the most common variety for making table wine in Piedmont: dark purple, fruity, light and made to be drunk within a year or two. As if finding a misunderstood child and raising her to express amazing intelligence and beauty, Nicoletta first spent time understanding the grape. “Dolcetto is delicate,” she explained,”and doesn’t like extremes in temperature, especially heat. If it gets too hot, it stops maturing.” Her vineyards are at about 500 meters with cool breezes and notably lower temperatures than areas where Dolcetto is mostly planted. I brought this San Fereolo Dolcetto di Dogliani DOC 2004 to taste with friends at home, and we were all stunned. It was a “Cinderella” wine that few would believe was a Dolcetto. The classic fresh, dark, fruity essence of Dolcetoo was there, but it was dressed up in rich, complex aromas and flavors with firm tannins (14,5% alcohol). It was intense and powerful, with the authenticity of Cinderella and none of the haughty arrogance of the stepsisters. Even after twelve years in the cellar, like the princess, it was dancing with vitality and could clearly have aged longer. The secrets of Nicoletta’s flagship Dolcetto “San Fereolo” lie both in the vineyard (old vines growing in just the right place with biodynamic methods) and in the cellar, where she accompanies the wine instead of forcing it. All of her wines ferment with indigenous yeasts. The Dolcetto stays on the skins in these large wooden vats for about three weeks. After spontaneous malolactic fermentation, the wine rests on the lees for two years in the same vats (which can be closed with a stainless steel top during aging). Even though she has a plan, Nicoletta does not do any of this by rote. She looks at very year, every variety, every vineyard and every wine as being unique. 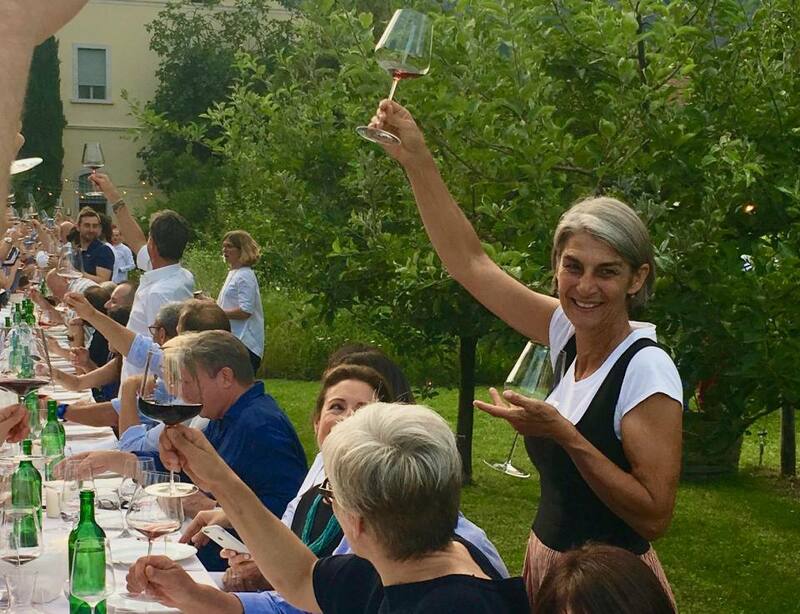 She grows traditional Piedmont varieties (Dolcetto, Barbera and Nebbiolo) along with Reisling and Gewürztraminer in various vineyards with the exposition, altitude, climate and soil type that is best suited. As she pointed some of the different vineyards out out, she recounted stories of who had owned them before, how she had acquired them, and what varieties were grown. I thought of the fashion designers in Milan…how she had noted that their different backgrounds were so clearly reflected in their designs. In keeping with this concept, Nicoletta’s San Fereolo Langhe Nebbiolo “Il Provinciale”DOC is decidedly different from her Dolcetto. It has the name of the book her father wrote: Il Provinciale, Seventy Years of Living in Italy. “Il Provinciale” can either mean a backcountry road or a person, who lives in the provinces. The book title refers to both, and Giorgio Bocca himself was sometimes referred to as “Il Provinciale”. 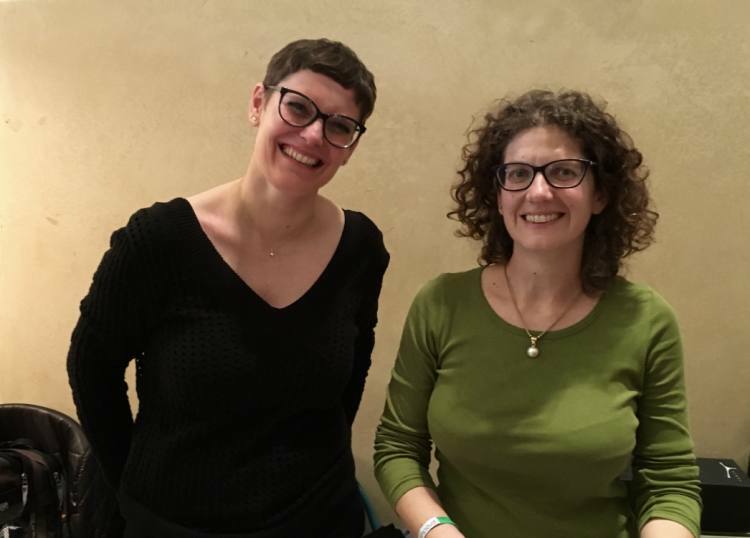 After visiting the vineyard and the cellar, Nicoletta and I drove down into the town of Dogliani to taste some of her wines over lunch at the Osteria Battaglino. It was extraordinary to taste the freshness of this 15-year old Barbera (with a small touch of Nebbiolo added). Like all of Nicoletta’s wines, it has the structure for aging well but is more exuberant and fruity than the Dolcetto or Nebbiolo. Most of the grapes come from the Austri vineyard at about 400 meters with mostly limestone soil. In the cellar, Austri stays on the skins for 15-20 days. Nicoletta decided back in the nineties to use large Slavonian oak barrels for aging, not the small, French barrels that were all the rage. 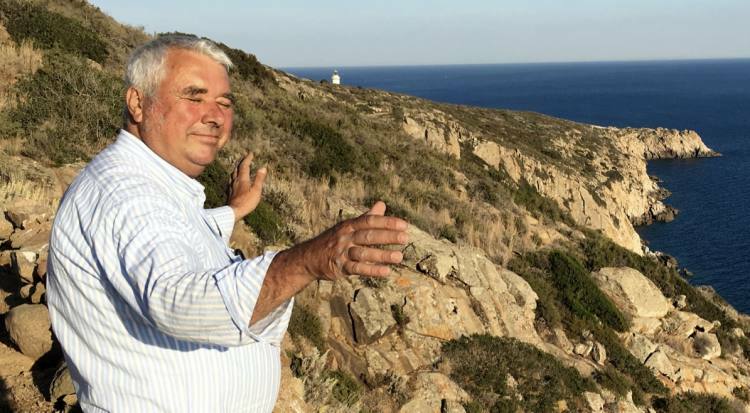 These wines reflect the character of the person, who brought them to life….At first, they are closed within themselves, somewhat solitary, but once they feel at ease, they reveal all their loyalty and their potential to last and improve over time. They are faithful companions, reflecting an impression of old Piedmont as a land of treasures hidden by modesty, self-restraint and obstinacy: values no longer desired and almost lost to memory. Eleanor, your writing is so refreshing, it flows beautifully, and transports me back to the simply wonderful, one of a kind Langhe. Thanks for searching out these jewels and so carefully reconstructing the experience, not only the wine but the people, the history, the soul of the place! You are a gift! Thank you, Kathryn! What a thoughtful comment.